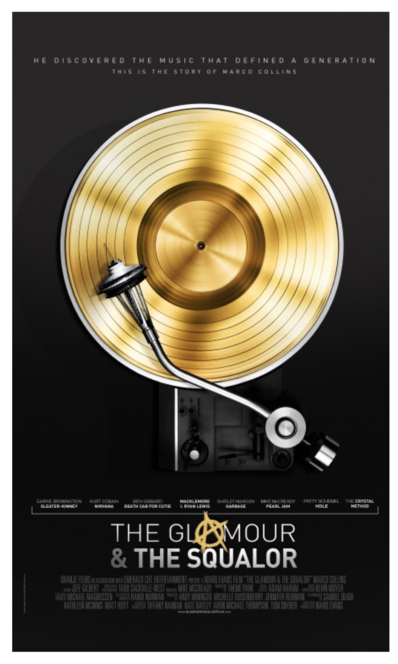 The Glamour & The Squalor is the story of Marco Collins, US DJ that is credited with breaking bands such as Nirvana, Pearl Jam and Beck. Collins rose to prominence in the early 1990s as a disc jockey on alternative rock station 107.7 FM “The End” (KNDD) in Seattle, just as the City was making its mark on the world with the arrival of grunge. Did grunge conquer the world because of Marko, or did Marko make his mark because he was in the right place at the tight time? To be honest, prior to stumbling upon this film, we here at Peppermint Iguana, had never heard of Marco Collins. Maybe we live the wrong side of the pond. We therefore have to be guided by the people in the movie and it has to be said a lot of people from the Seattle scene have a lot of time for him. 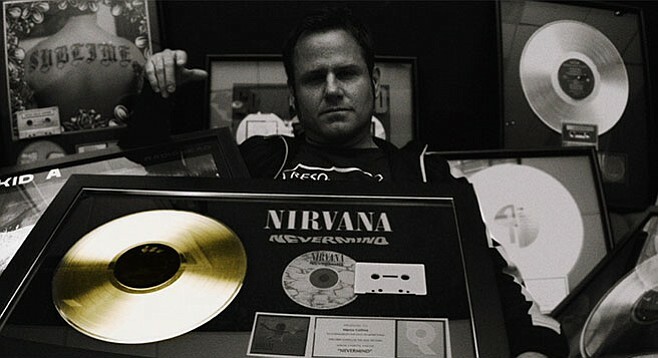 He leaked several key album releases on his show prior to their official release; sometimes with the help of the band (Pearl Jam) sometimes at the annoyance of the band (Nirvana). Several of the key players of the scene, including Kurt Cobain, Beck and various record company executives feature, talking reverentially of his contribution to the scene. This film tells of the heyday, when the Seattle scene was at its peak and the whole world wanted to know what was coming next. Bands were queueing up to get Marco to play their music. It also tells of the inevitable – big business getting in on the act and killing it. He did not stand still and embraced ‘electronic’ music and he gets credited for breaking The Prodigy, Chemical Brothers and the Crystal Method in the US. Although, to be honest, we thought the first two of those had already made it before he started playing them. But again, we are viewing this story from the other side of the world. From his peak, he dropped into the gutter. This is a warts and all story, telling of his struggles with drugs, coming to terms with his homosexuality, selling his record collection, falling out with his dad, reconciling with his dad, blown career opportunities and eventually finding his place in life. Despite not knowing who he is, we thoroughly enjoyed the film. Not only does it tell his personal story, it looks at a scene that was interesting and juxtaposes people who live and breathe their music and the conflict with the industry. Anyone that has a passion for music, particularly the underground variety, will empathise with Marco and see a little bit of themselves in him. And that always makes for a good film. Doesn’t it?